President Trump named Kevin McAleenan to replace Kirstjen Nielsen as Secretary of Homeland Security. McAleenan is the author of Barack Obama’s “catch and release” program at the US border. Former Arizona Sheriff Paul Babeu weighed in on McAleenan. Trump's base on immigration already skeptical of McAleenan as DHS Sec. And the Federation of American Immigration Reform (FAIR) strongly opposes the nomination. It is crucial that @realDonaldTrump nominates a strong, respected outsider for Secretary of Homeland Security. We’ve seen what happens when he trusts immigration neophytes or Obama administration holdovers to implement his agenda. FAIR also warned that immigration levels may reach half a million in the next three months. 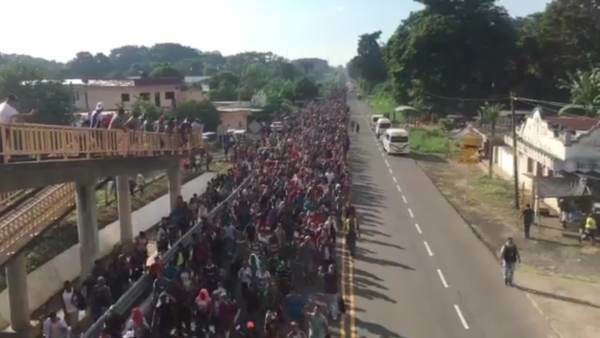 This is not immigration — This is an invasion — 100% supported by the Democrat Party. Does anyone really trust a former Obama official to fix the immigration crisis in America? The post TRUMP Names Kevin McAleenan as Homeland Security Chief — Author of Obama’s Catch and Release Program appeared first on The Gateway Pundit.